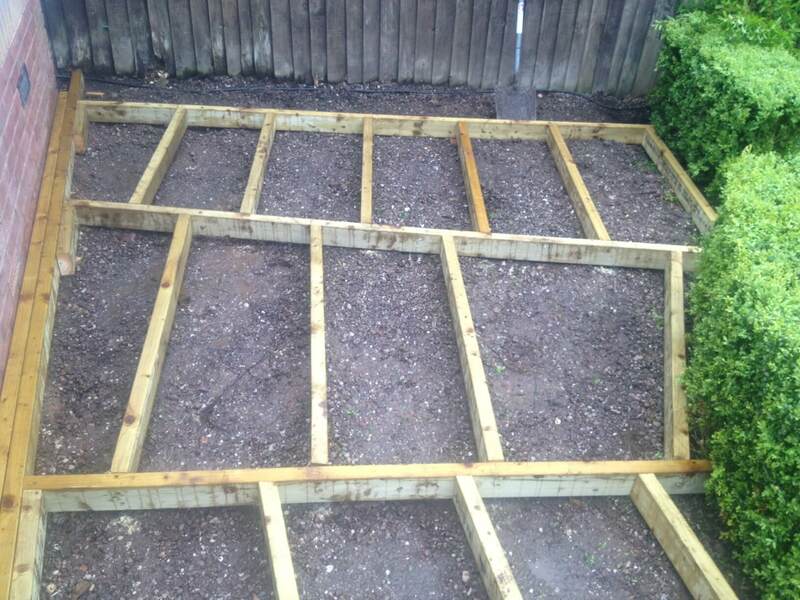 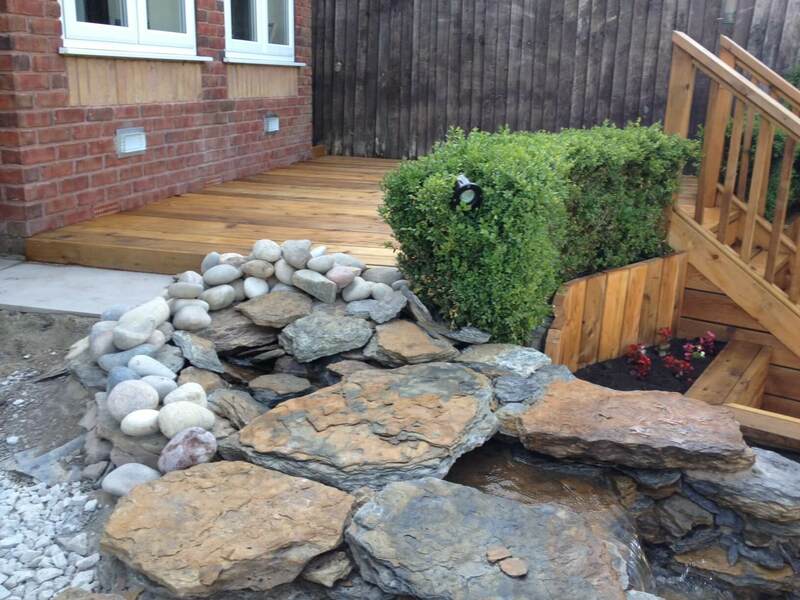 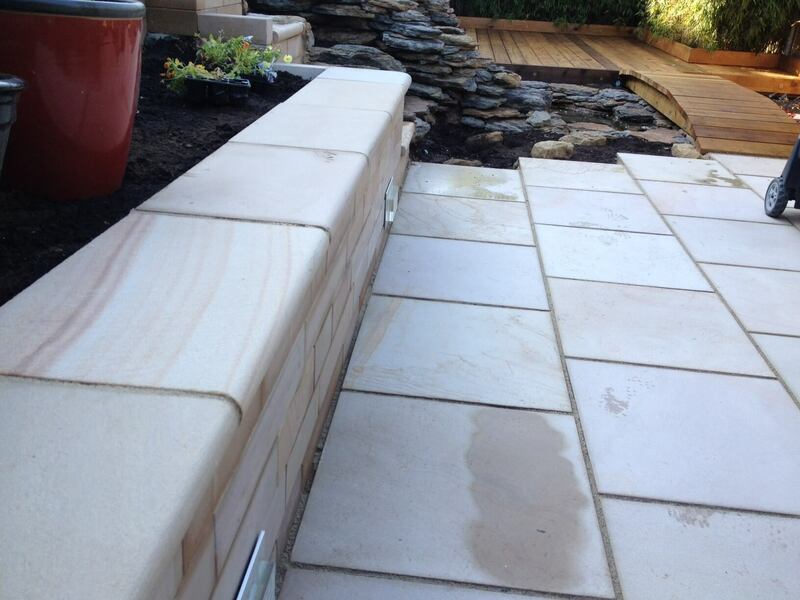 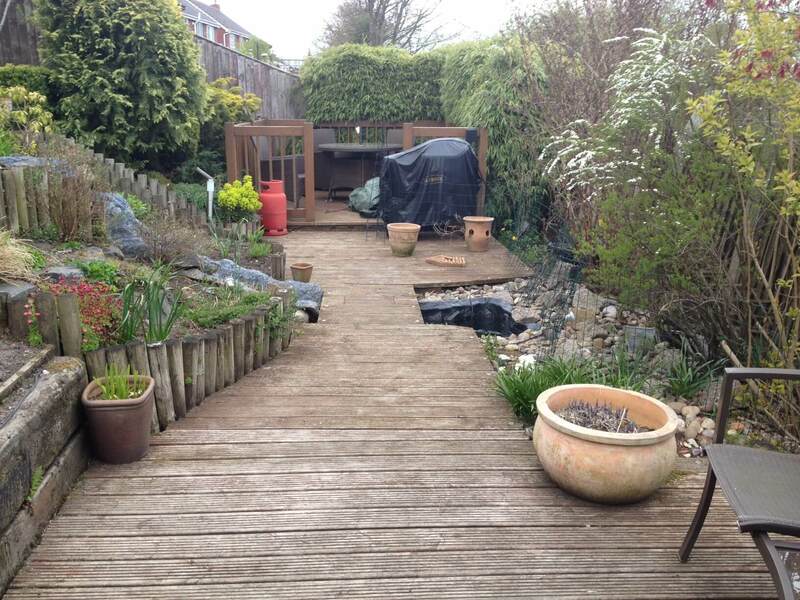 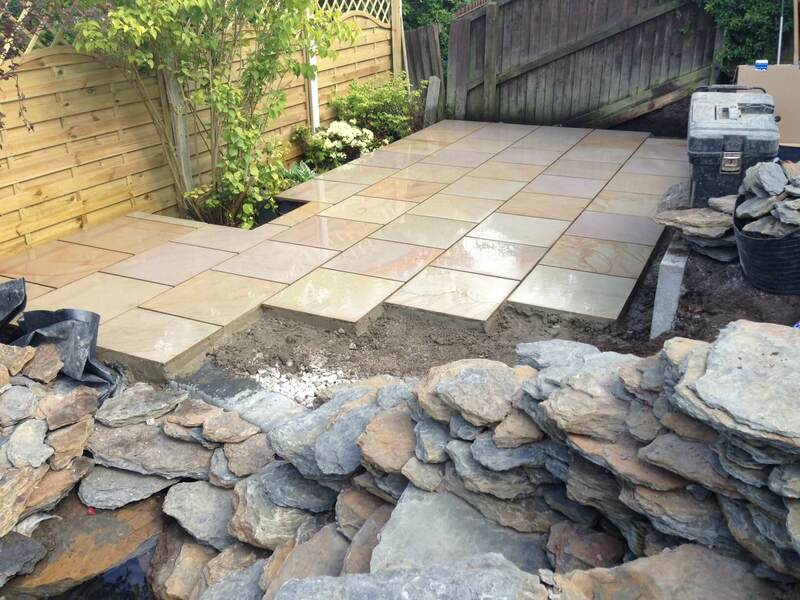 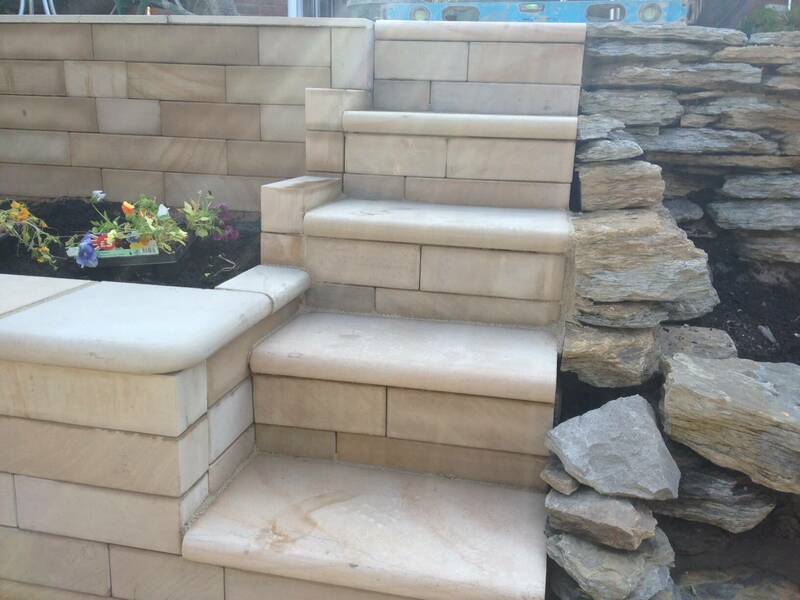 This landscaping design garden project was carried out in Dutton, Warrington area of Cheshire. 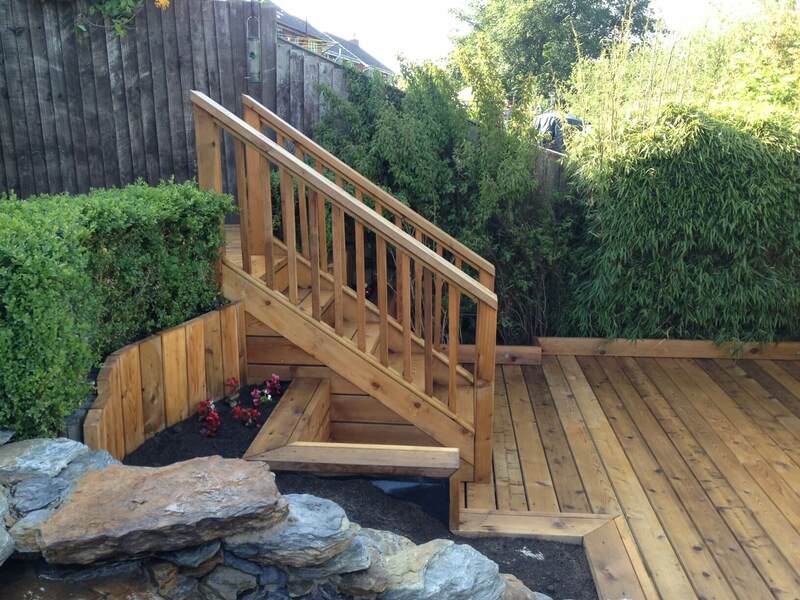 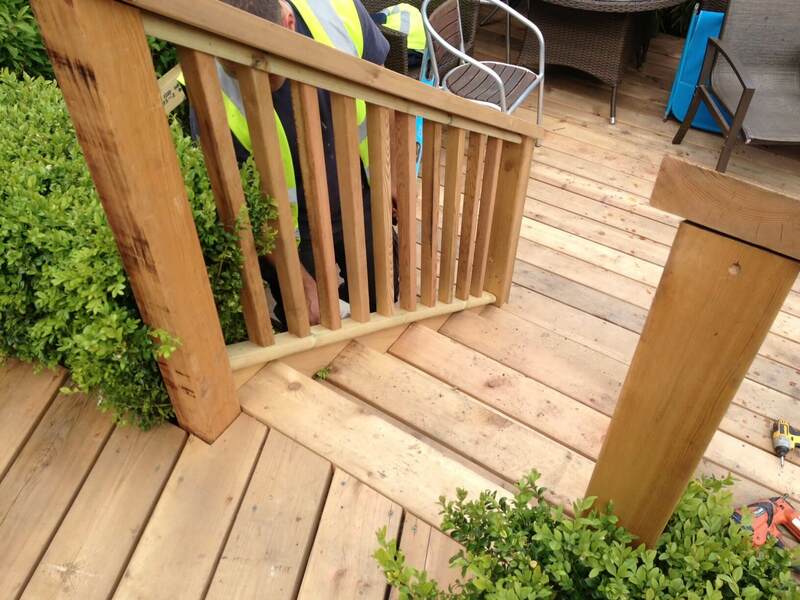 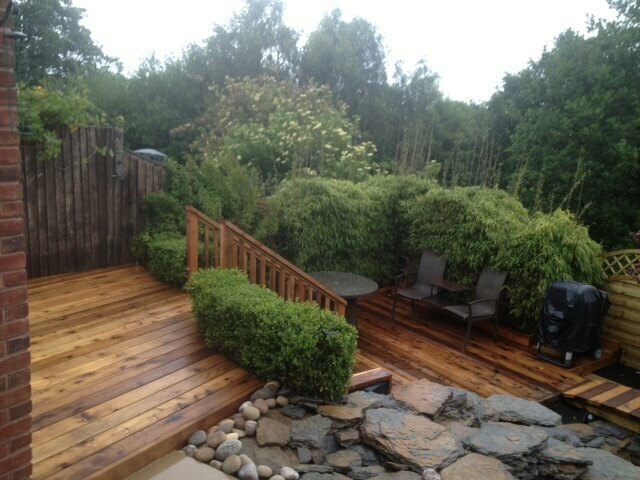 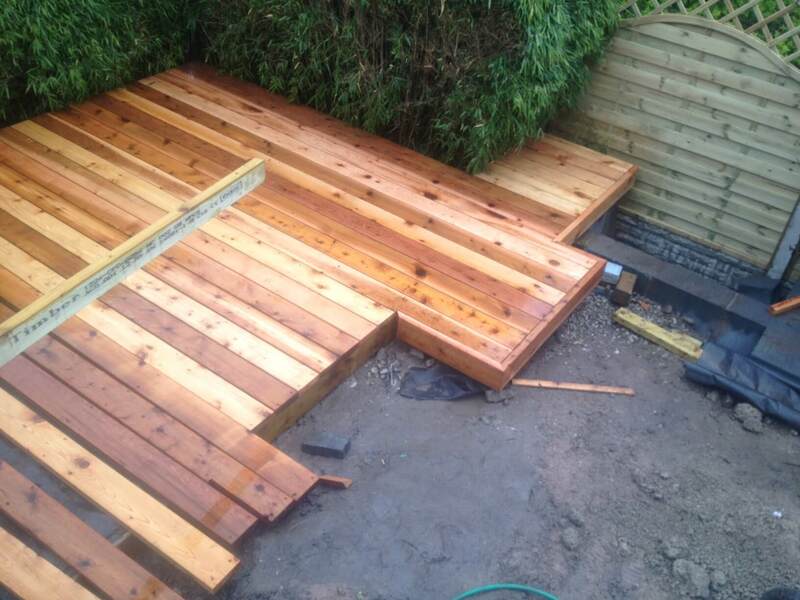 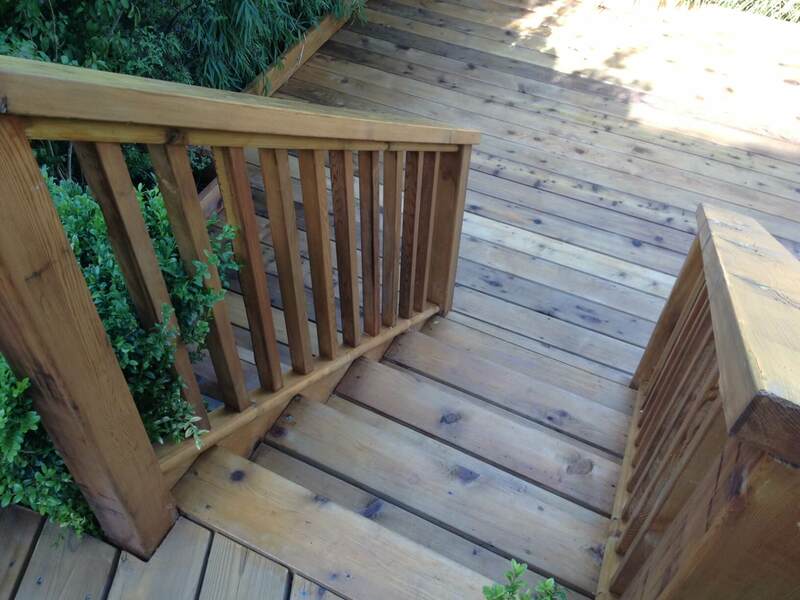 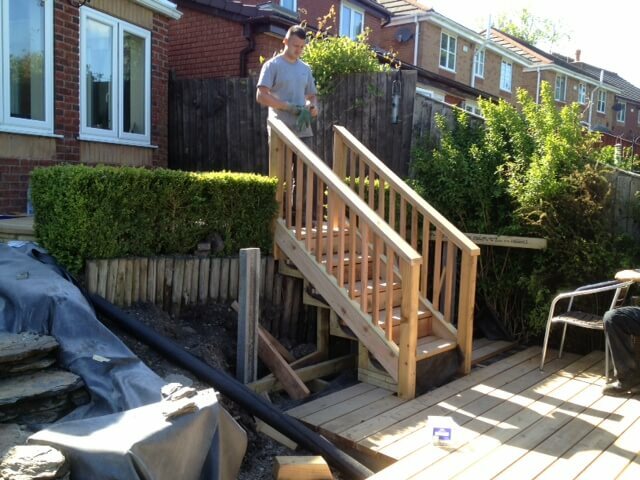 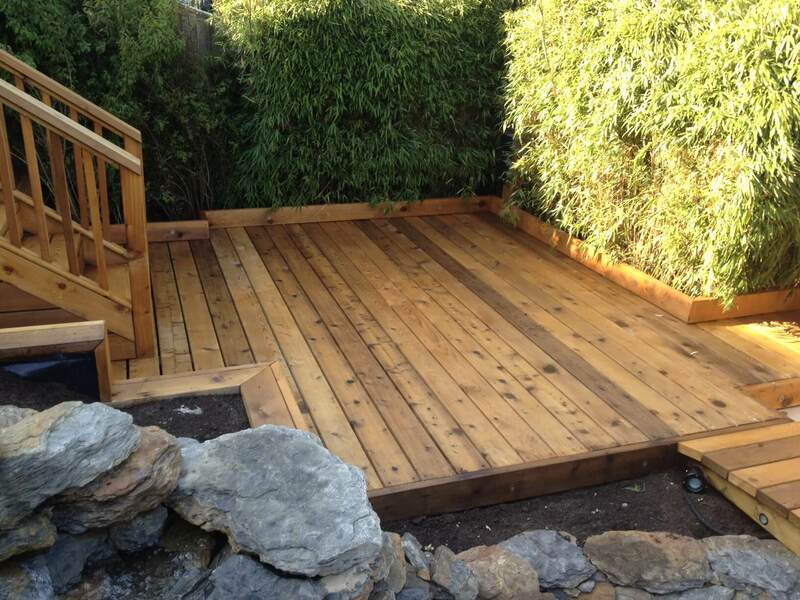 In this landscape garden design project we were installing cedar decking along with cedar steps, handrails and cedar cladding for the facia, as the decking with consist of an upper level and lower level. 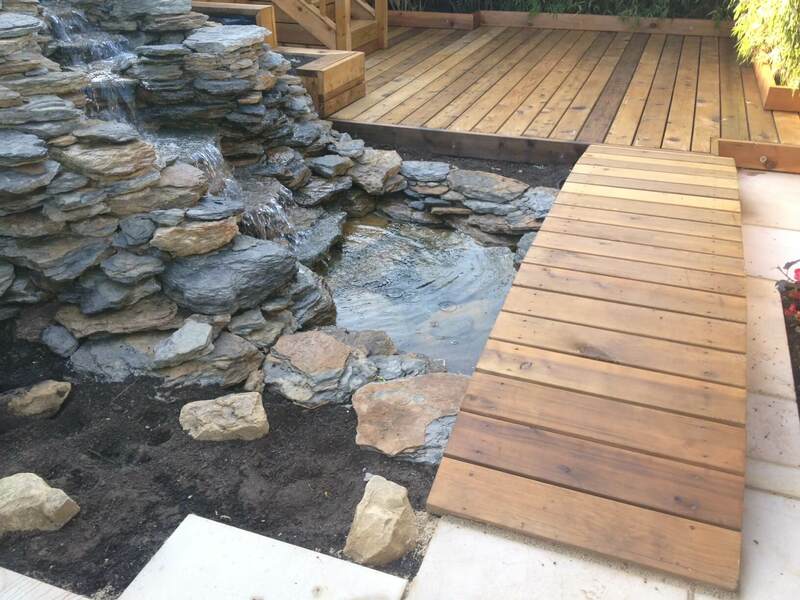 We also buildt a cedar bridge to cross a small pond to the paving area. 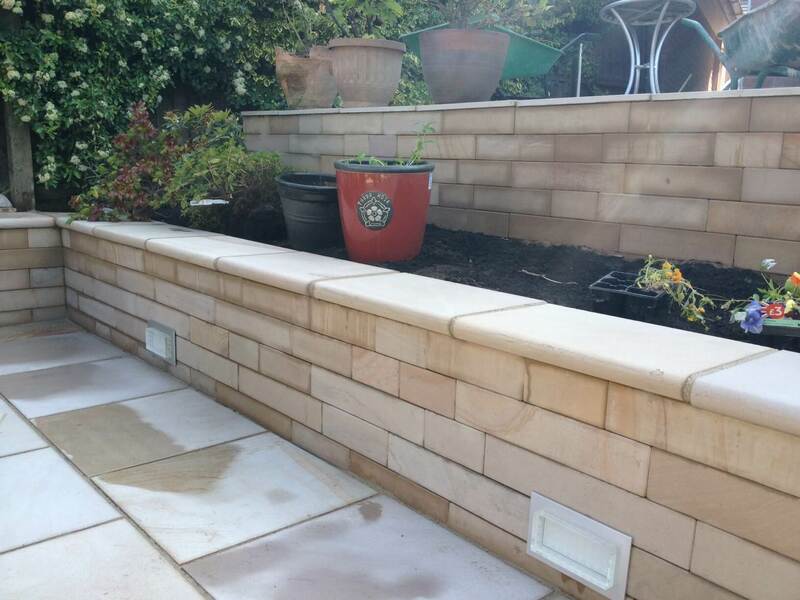 We were also installing a retaining wall in front of the new fence to support the new patio and prevent the sloping land pushing against the new fence. 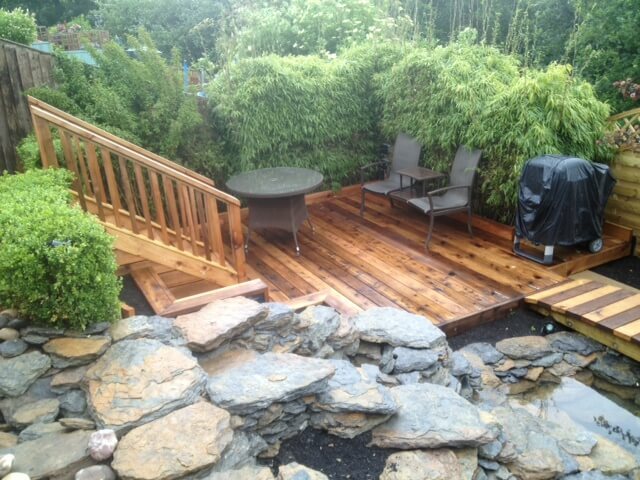 The patio sits on top of the retaining wall. 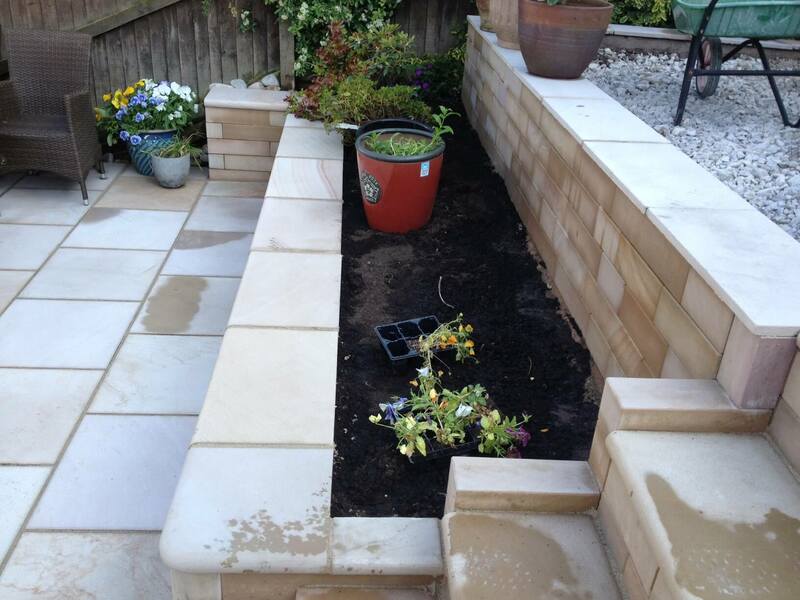 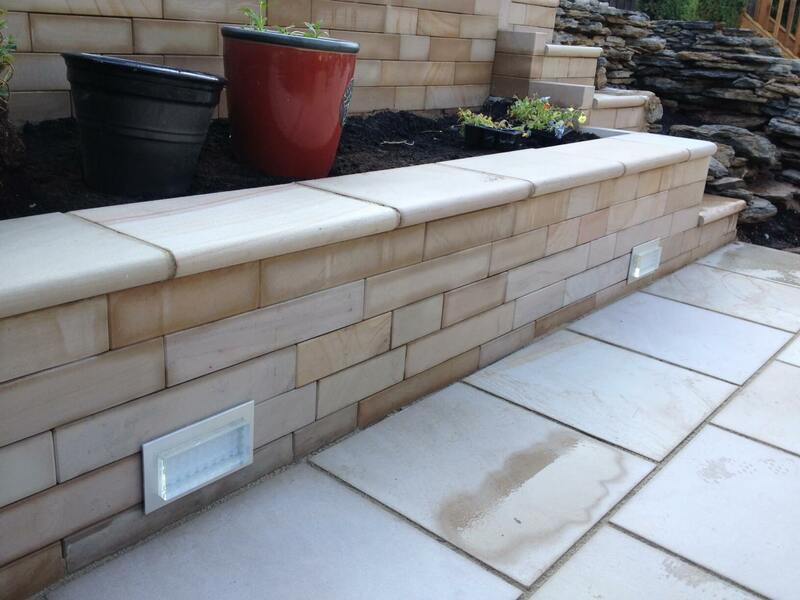 We were also building raised planters and installing drainage stone between the fence and the retaining wall. 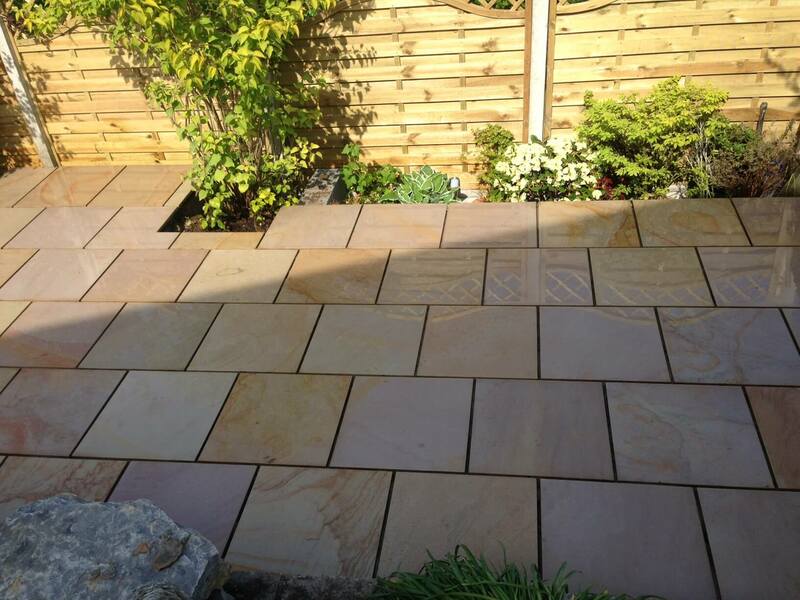 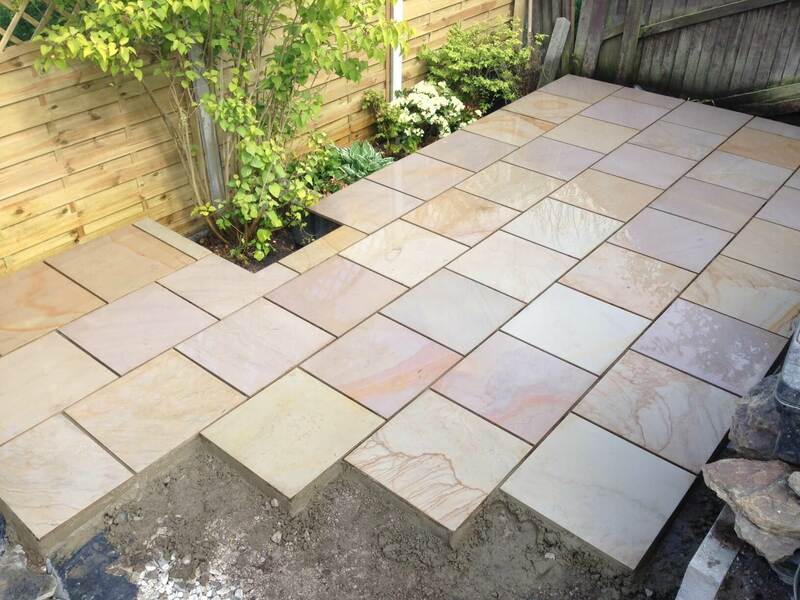 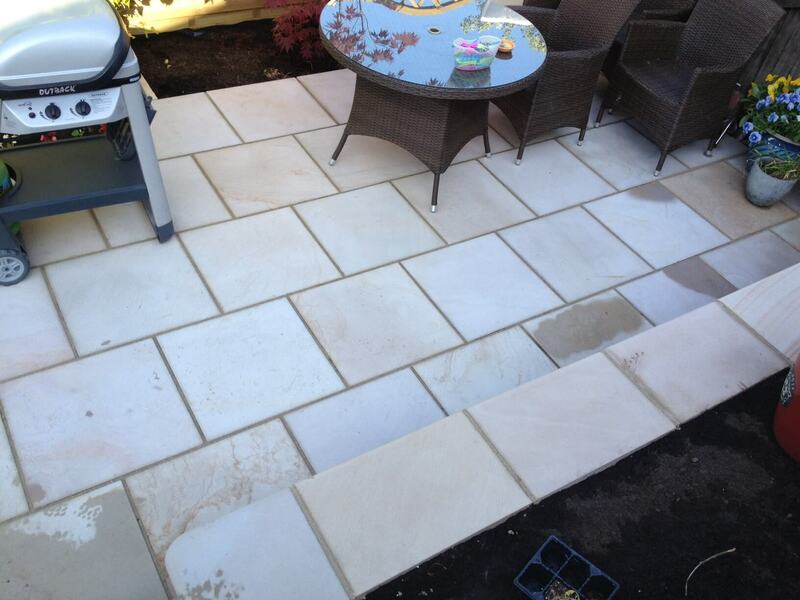 The patio and path were installed by using Marshalls Fairstone sawn paving to create a very modern contemporary feel. 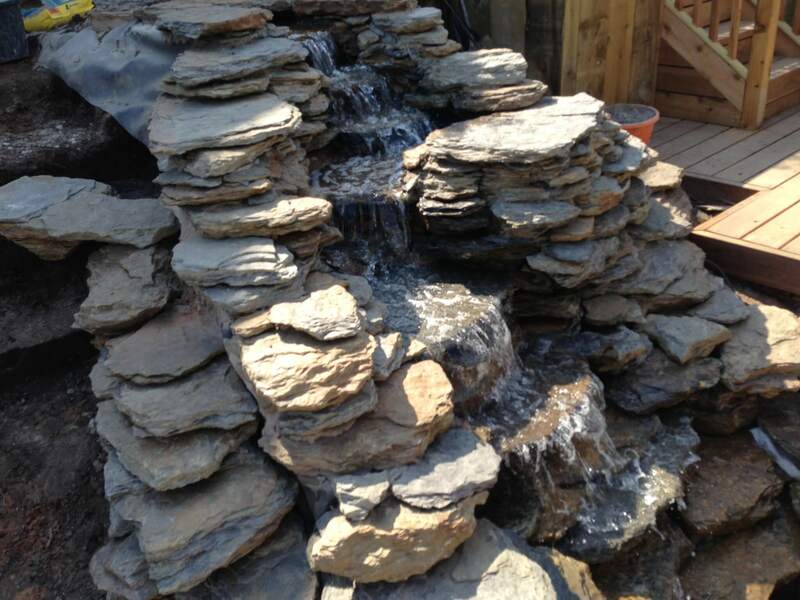 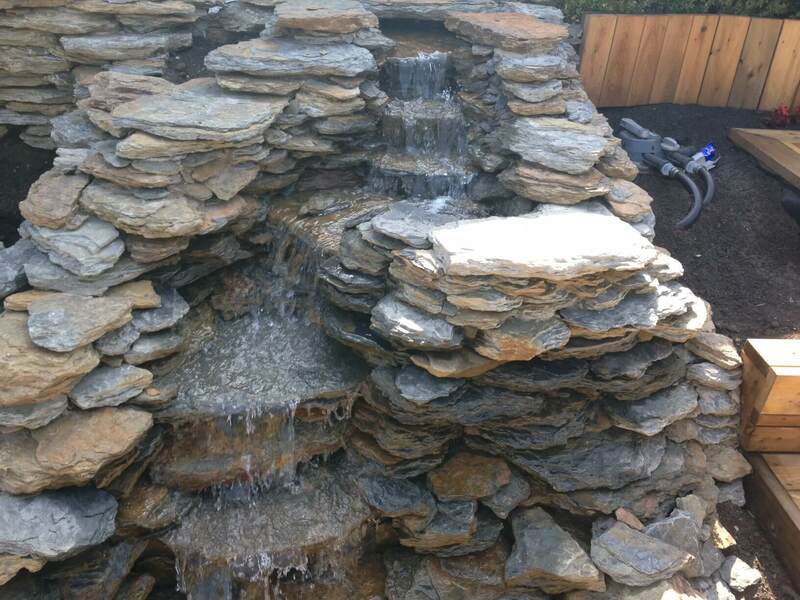 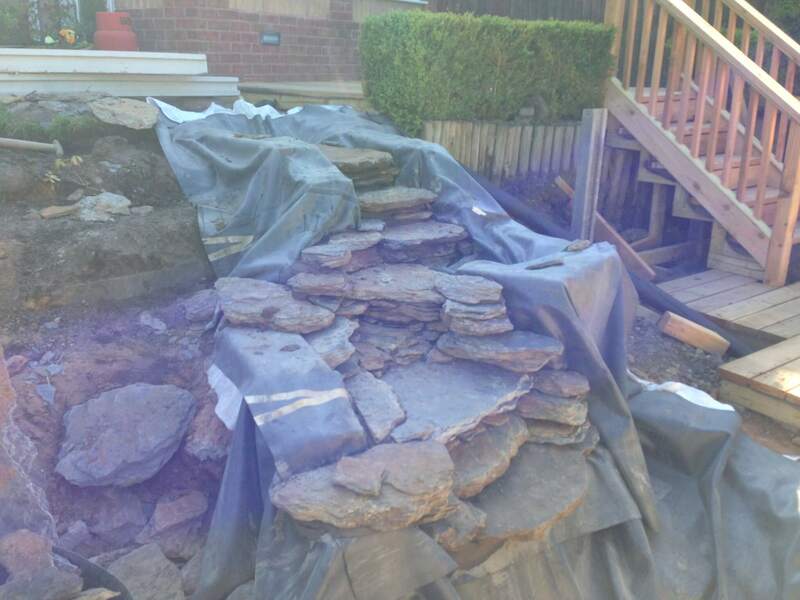 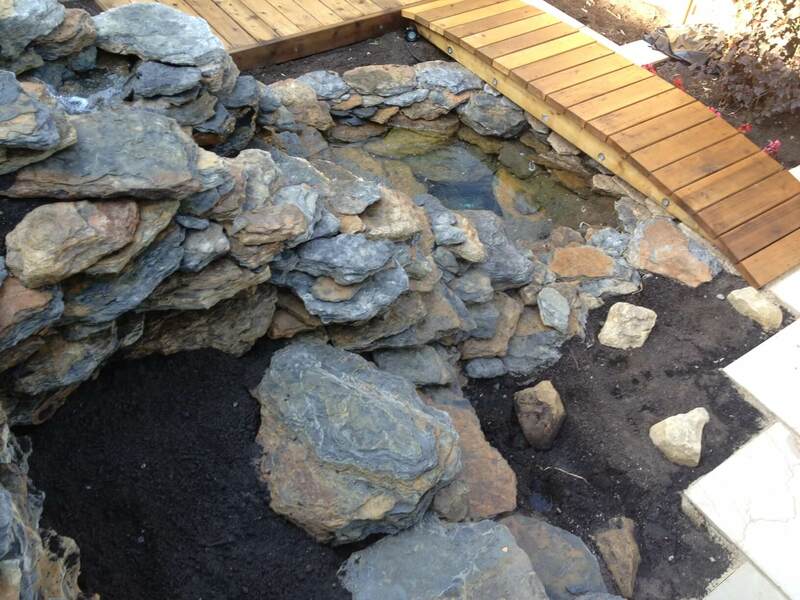 We were creating a new water feature which would be cascading down the slope from a small upper pond to a lower level pond with a rockery and rock steps to give another form of access to the lower level garden area. 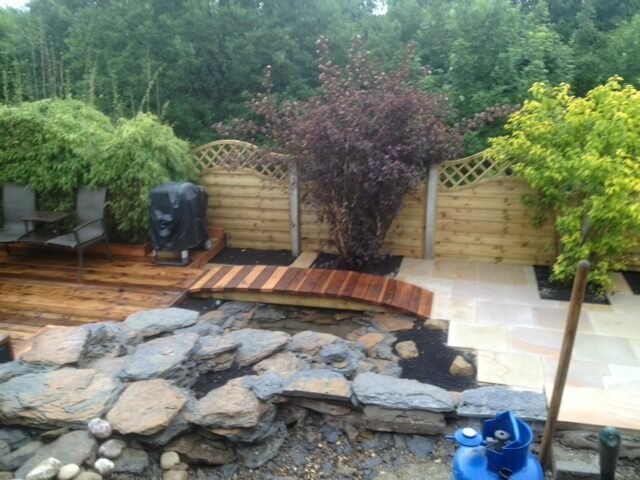 To the left of the water feature, we were creating retaining walls to retain the middle terrace where the planting would be. 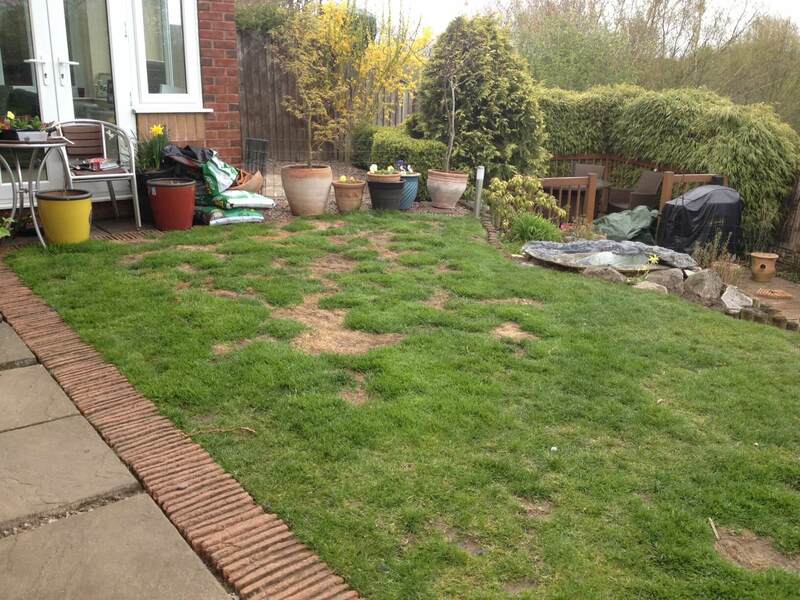 The upper-level area by the house is the lawn area in which the customer wants artificial turf.